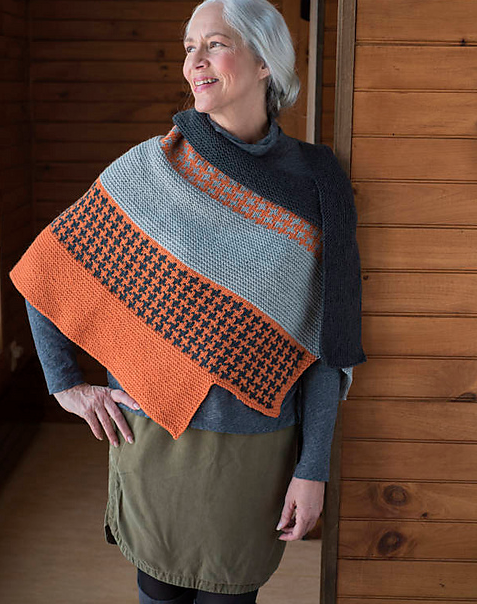 I'm so excited to be a part of Berroco Portfolio Vol 6 with my tiered shawl, Deauville! 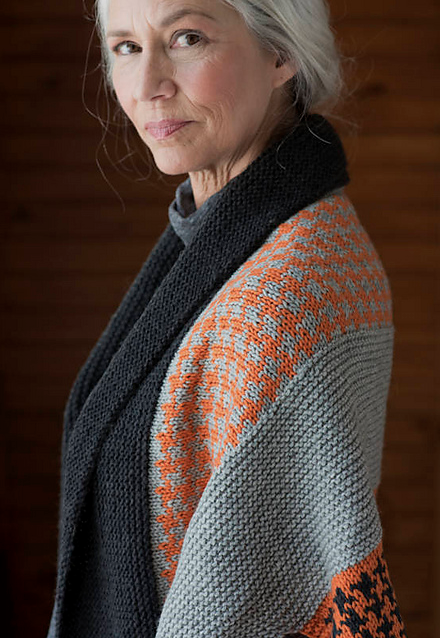 Alternating cushy sections of garter stitch with stranded colorwork houndstooth sections make this shawl fly off your needles. Three colors of Berroco Ultra Wool play together in texture and color in a uniquely shaped knitted shawl pattern. Easy garter stitch panels separated by a classic houndstooth pattern start at the top of the shawl and work down in stepped increments. Check it out and buy it on Ravelry here. Just a quick note to say THANK YOU! I appreciate your kind words and support of my first Craftsy Class! It's kind of a big deal over here and I really appreciate everyone hanging in for this new direction. 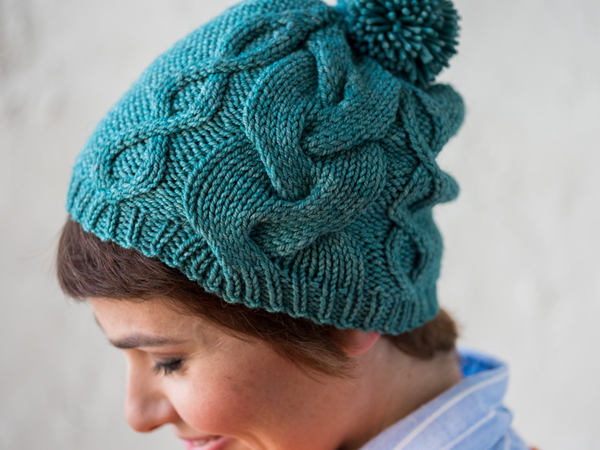 Startup Project: Cabled Hat & Headband is LIVE! 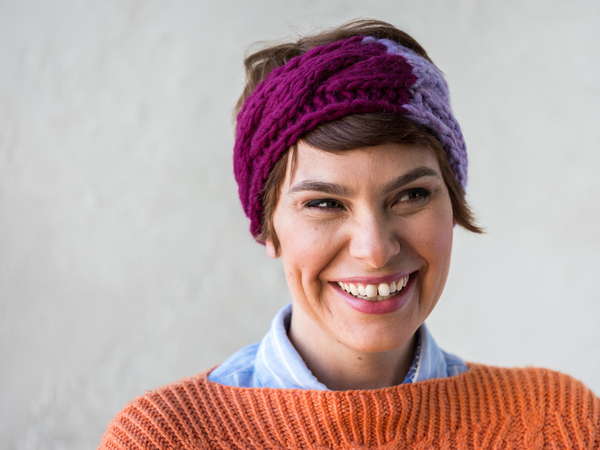 I'm so excited to share my first online class - Start Up Project: Cable Knit Hat & Headband! This class is perfect for new knitters, knitters who haven't tried cables yet, and knitters who need help reading cable charts. We will knit 2 projects together in this class - a cute cabled hat and a chunky colorblocked cable headband! Big yarn + big needles = quick, easy to knit projects. Comment on this post for a chance to win this class! I'll be giving away a free class registration to 1 lucky commenter so say hi and be sure to leave your contact information. I'll be picking a winner Monday, April 30th, 2018. Good luck! Hello Knitters! It's been a long time! You may have noticed I've been working a little more quietly than I have in the past. I haven't updated my blog since November 2016 and the last time I sent out to this mailing list was July! I've spent the last year or so focusing on what I really wanted to do, which turns out includes a ton of travel and sewing, and where my place is in this yarn industry we love so much. I'm now a co owner of Knit 1 yarn store in Chicago! I teach all the time and am loving it. I'm about to have a Craftsy class launched, but more about that soon! I haven't been designing much, but I've even got a couple new designs that will be published soon as well. These changes have motivated me to rebrand away from The Sweatshop of Love and over to allysondykhuizen.com, where I'll start blogging and sharing again! Check it out. As a thank you for your continued support of me and my knitwear designs and a celebration of the launch of my new website, all of my patterns are 25% off! Use coupon code allysondykhuizendotcom to get 25% off all patterns! Shop now! Thank you again for your continued support! This sale ends Monday April 16th. I've been in the process of working on a rebrand / moving forward with my knitting life in a new way for over a year now so it was about time I pulled the trigger on SOMETHING! So here is a big WIP of the technology side - ALLYSONDYKHUIZEN.COM! Now everyone has to figure out how to spell my last name!